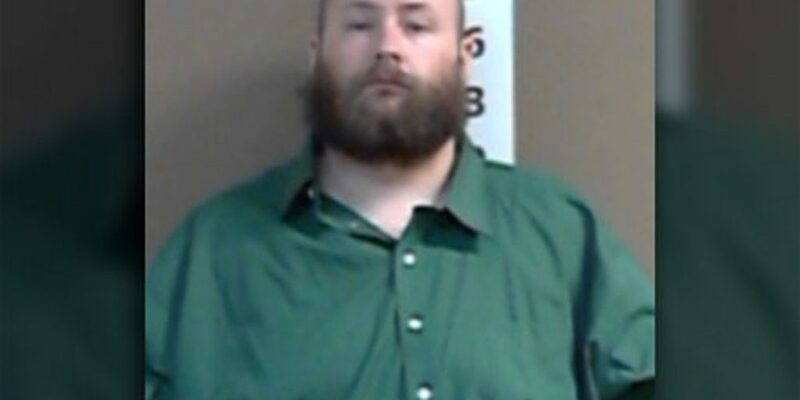 CARTHAGE, TX (News Release) – Serial cattle thief Bradley Wayne Guthrey, 29, of North Little Rock, Arkansas, entered a guilty plea Nov. 1 for felony cattle theft charges that date back to 2014. He will serve five years in state prison as a result of the plea agreement. The conviction stems from an extensive investigation conducted by Texas and Southwestern Cattle Raisers Association (TSCRA) Special Rangers with the assistance of multiple law enforcement agencies. TSCRA Special Ranger Larry Hand and former TSCRA Special Ranger Toney Hurley led the investigation. In December 2014 Hand was called to the Panola Livestock Auction to inspect a suspicious load of cattle dropped off by Guthrey. While Hand and Panola County Constable Bryan Murff were on the scene, Guthrey returned. Upon seeing the investigators, he fled and led the two lawmen on a high-speed chase before crashing through a gate and escaping on foot. After a seven-hour search involving state and local police, K9 units and a Department of Public Safety helicopter, former TSCRA Special Ranger Hurley negotiated Guthrey’s surrender by phone. With the assistance of fellow Special Rangers, Hal Dumas, Marvin Wills, Jimmy Dickson, and Brent Mast the subsequent investigation revealed numerous additional thefts. During their 2014 crime spree Guthrey and an accomplice, Levi Boyd, were involved in stealing more than 70 head of cattle and equipment across Texas and Arkansas in addition to outstanding warrants in Arkansas and Oklahoma. The wide-ranging investigation has led to numerous convictions across Texas and has kept Guthrey incarcerated in various jurisdictions since his 2014 arrest. The Panola County conviction is among the last related to Guthrey’s spree of cattle thefts. Hand used the sentencing as an opportunity to remind cattle producers about the importance of branding cattle. During the initial investigation, the suspect specifically told special rangers that he targeted unbranded cattle because they are not as easy for authorities to identify. TSCRA would like to thank all of those involved in the investigation, especially the Panola County District Attorney’s Office, Panola County Sheriff’s Office and Panola County Constable Bryan Murff for their assistance on the case. TSCRA’s Special Rangers are an elite group of law enforcement officers who have extensive knowledge of the cattle industry and primarily investigate cattle theft and other agricultural crimes, though they are well-trained in all facets of law enforcement. In all, TSCRA has 30 Special Rangers stationed throughout Texas and Oklahoma. The Texas Department of Public Safety or Oklahoma State Bureau of Investigation commission them. The Special Rangers also oversee more than 80 TSCRA market inspectors who collect data, such as brands and other identifying marks on four to five-million cattle sold at 100 Texas livestock markets each year. The TSCRA’s recording and retrieval system enter that information, which is a vital tool for law enforcement when investigating theft cases.